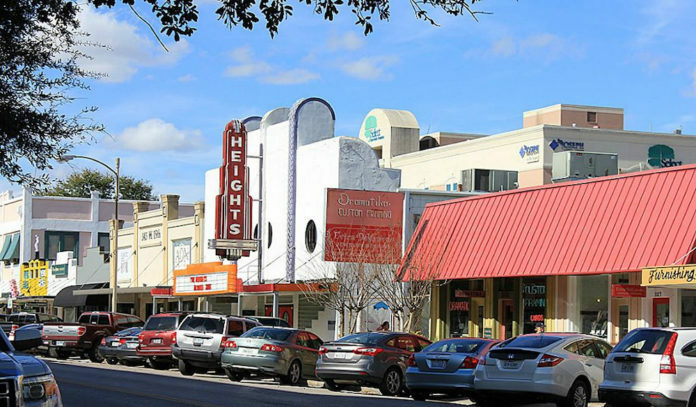 One of Houston’s hottest shopping districts lies on the vibrant 19th Street in the Heights. Packed with antique shops and galleries, thrift stores and boutiques, and cafes and restaurants, strolling the streets is the perfect way to spend a nice day. Be sure to look out for special events, from White Linen Night and Third Thursdays Sip &Socials to tent sales and holiday tours. Casa Ramirez Imports – Explore this folk art gallery, which rocks vibrant pieces from local artists, eclectic folk art, and books. Heights Cigar Lounge – Lay back and unwind at this smoke den, which rocks a fireplace, leather recliners, and a large game table for cards and dominos. The Heights Theater – The 1929 vintage Heights Theater building has been re-imagined, opening as a theater once again in 2016. 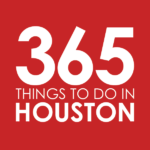 Hit it to catch independent film screenings, concerts, comedy acts, poetry readings and more. Hits Theatre – Over on West 18th, this children’s theater puts offers workshops, acting and vocal coaching, dance classes, and puts on family-friendly productions. Ink Spots Museum – On 20th, this living history museum honors vocal group The Ink Spots and musician Huey “Ink Spot” Long. Long was the last living member of the group, which helped build a foundation for the future of rhythm and blues beginning in the 1930s. Marmiom Park – Snap a selfie at this 18th Street park’s picturesque Kaiser Pavilion, designed to emulate the unique turret of the Cooley mansion, one of the first houses built in the Houston Heights and the original site on which the park now sits. Tea & Art – This tea house and gallery boasts fine art shows alongside contemporary and functional ceramics. Alice Blue – Dine on local squash fritters, harissa shrimp bucatini, and NY strip bernaise at this chic modern bistro. And don’t miss quiche, nicoise salad, and pork shoulder pozole, available at lunch and brunch; or blistered shishitos, morcilla fondue, and proscuitto tartine alongside discounted wines at happy hour. Bernie’s Burger Bus – Just a few blocks up on 22nd and Yale, some of the city’s sloppiest burgers and yummiest shakes await. Get burgers topped with top-notch ingredients, from housemade ketchup and tipsy onions to pecan-smoked bacon and green chile cheese sauce. Tack on loaded hand-cut fries and an ice-cold beer, while you’re at it. Boomtown Coffee – With top-quality lattes, cortados, and flat whites made with Boomtown beans, plus coffee shop bites like breakfast tacos, housemade pastries, and grilled cheese, this neighborhood favorite is the perfect spot to linger. Carter & Cooley – Get corned beef and cozy at this old-school sandwich shop, which has been keeping locals well-fed since 1989. Dig into sandwiches piled high with housemade tuna salad, kosher-style corned beef, and roast beef slathered with herb and garlic crème cheese. Down House – With an emphasis on locally-sourced ingredients and fresh-faced flavors, Down House is a neighborhood go-to for breakfast, brunch, lunch, dinner and happy hour. House favorites include the Gulf shrimp and grits in pho broth and the kimchi burger topped with cheddar, a fried egg, kimchi, and bulgogi sauce. Harold’s in the Heights – With an outdoor terrace overlooking 19th, this restaurant and bar is the perfect place to spend a nice day. At brunch, dig into New Orleans-style beignets, 44 Farms cheeseburgers, loaded with bacon jam, and Creole eggs benny. Dinner offers delights from double-brined cast iron chicken and blackened Gulf fish to turnip Bolognese; and there are lunch and happy hour, too. If you’re not looking for a full meal, be sure to check out the taproom. Juice Girl – Sip 100 percent organic juices and smoothies at this nutritious juice bar. Flavors range from a jalapeño-kissed Spicy Go Green and grapefruit-and-beet infused Pink Robot to a smoothie perfect for hangovers. Find acai bowls and the juice bar’s take on ice cream as well. Maryam’s Café – This dog-friendly café offers all-day breakfast, salads, panini, sandwiches, and wraps along with coffee, fresh juices, smoothies, and shakes. Finish off with a slice of homemade chocolate, tres leches or carrot cake. The Rice Box at Heights – Sitting block up on 20th, this fast-casual Chinese spot rocks killer chow fun, Mongolian beef, and sesame wings, plus hot, iced and nitro teas, beers and wines. Enjoy it all on the patio on nicer days. Torchy’s Tacos – Get damn good tacos fully loaded with everything but the kitchen sink, including but not limited to combos like cornmeal-crusted catfish and avocado sauce, slow-roasted pork carnitas with tomatillo, and fiery Jamaican jerk chicken. Don’t forget to add on chips and green chile queso. We Olive & Wine Bar – Stop by the shop, kitchen, and bar for artisan wines, olive oil inspired small plates, craft beer, and events with artisan producers and winemakers. The space offers daily complimentary tastings of California Extra Virgin olive oils, vinegar, and gourmet bites. AG Antiques – Go treasure hunting for antiques, vintage, and mid-century modern pieces and other collectibles at this 19th Street spot, which has been in the same location since the 1930s. Almogabar’s Shoe Shop & Western – This family-owned shoe shop offers boot and shoe repairs and polishes. Big Blue Whale – Big Blue whale is a magical place to find classic, hard-to-find, and handmade toys, from vintage toys and board games to whimsical crafts. Bliss on 19th – This specialty shop offers a unique blend of gifts, home decor, and accessories, making it the perfect place to shop for holidays, birthdays, and special events, from weddings to baby showers. Cutthroat Barbers – A nostalgic barbershop with a hip, modern vibe, Cutthroat offers haircuts and beard trims, full and partial shaves, and buzz cuts and shampoos. Every cut comes with a complimentary beverage. Dramatika Custom Framing – Get top-quality frames with unique, custom flair backed by over 50 years of experience. Eclectic Home – Shop for affordable but quality home goods and accessories at this 19th Street furniture store. Emerson Rose – Trendsetters love this chic boutique, which rocks women’s clothing and shoes, stylish jewelry, hats, bags and sunglasses, and fun home décor and gifts. Erica Delgardo Jewelry Designs – Shop for unique, hand-crafted jewelry, including wedding bands and engagement rings. Fly High Little Bunny – This local jewelry shop offers fine silver and gold pieces, custom design, jewelry repair, and one-of-a-kind gifts, from handcrafted bags to Turkish lanterns. Gen’s Antiques – This local jewel offers a mosaic of constantly updated goods, from mid-century modern furniture to vintage art pieces. Jubilee – Hit this boutique for on-trend clothes and accessories, home decor, seasonal adornments, and gifts. Manready Mercantile – All the man-ready goods at this cool kid’s shop are American made, from hip clothes and leather boots to vintage accessories and the mercantile’s own whiskey-soaked campfire jerky. Mercader Antiques – Shop for vintage pieces, from oil lamps and vases to buckle belts and watches. Retropolis – This vintage clothing and consignment store is a hit with thrift shoppers. Sand Dollar Thrift Store – Those looking for a deal should check out this thrift store, which has racks and racks of new and used apparel, jewelry, shoes, accessories and more. Thread – Get upscale finds at this stylish kids’ resale shop. Venus Hair – Bright colors and offbeat styles are the name of the game at this 19th Street landmark, which has been hairdo-in’ since 1978. Hit the eclectic shop for a well-priced, fun, and funky cut and color. Vinal Edge Records – Open since 1985, this old school record and CD shop throws it back with everything from classic, alternative, and experimental rock to jazz, blues, and country.